It is an exciting thing to free your closet of loads of clothing you aren’t wearing. If you’ve got a decent amount of new or nicely used designer clothes hanging around your room, you could make the most out of them by exchanging them for cash. 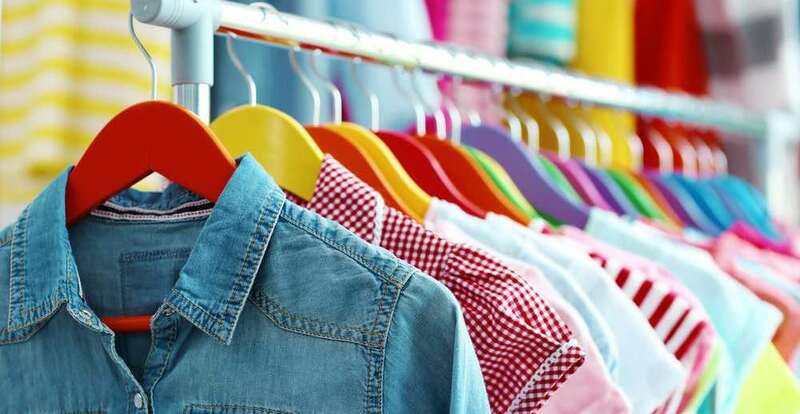 If you’re planning to declutter your home of clothing and make money in the process, chances are that you’d love to discover the best sites where people buy or sell clothes online. The trend of selling online has taken another pretty dimension and lots of people are exploiting online benefits to find local and distant buyers for their items including electronics, clothing, furniture and lots more. Whether you’re a local couturier or somebody who loves to buy and resell designer clothes, plenty of sites are already at your fingertips to help you exchange your items for cash. There are plenty of sites where you can sell your clothing online. Quite a few sites allow you to keep all profit to yourself while many others charge certain commissions when your item sells. This article broadly reviews the best places to sell clothes online for Cash. Each of the sites in this article has a massive audience and you’re likely to get your clothing in front of many prospective buyers. Just have a fun review of all the sites to find out the one that suits you best based on your selling plans. Poshmark could be one of the best sites on which you would like to sell clothes probably because it’s one of the few clothing sites that accept men’s clothing. More to that, you can opt to trade in bags, shoes, children’s clothing and women’s clothing. Listing on Poshmark is super fast. All you do is list the item, attach a couple of pictures and provide a product description. If you have the Poshmark mobile app downloaded to your smartphone, chances are that you’d enjoy the listing a lot more. On Poshmark, getting cash for clothes is easy. After helping you to sell your item, the site delivers prepaid shipping boxes to you. You wouldn’t have to visit the post office since the postal carrier will collect the prepaid shipping boxes from your residence and deliver to the buyer based on accelerated 48-hour USPS Priority shipping. Cafepress is one of the best sites to sell clothes online and it’s pretty obvious that you’d love to use it if you’re skilled at making clothing designs but lack the equipment to produce clothes by yourself. If you would like to make the most out of Cafepress, you’ll have to download a graphic design software capable of uploading the clothing designs to the site’s database. On Cafepress, you’ll find it exciting to get cash for selling clothes like pajamas, sweaters, and t-shirts. Moreover, you could make a success with the sale of hats and fashion accessories. When you establish a storefront on Cafepress, it becomes easy to make a profit by selling clothes to those shopping on the site. ThredUp is a trusted online platform to sell items ranging from children’s clothing to women’s clothing. Also, the site lets you sell other times like handbags and shoes. Perhaps, ThredUp is likely the largest online store for clothing consignment and it would be quite interesting to know how the site works. First of all, ThredUp offers you a “Clean Out’’ bag that lets you ship the items you no longer need without paying any fee. The site gets back the bag from you to help you sell your items. The beauty of using ThredUp is that 80% of the resale value of each of your items belongs to you –the consignment store takes only 20%. On ThredUp, getting cash for clothes is damn easy but if the site doesn’t feel like buying one or more of your clothing, you’ll be charged the return fee of $10.99 in order to get back the clothing and look to sell it somewhere else. Interestingly, ThredUp does have an online calculator that lets you find out what you can earn on each item of clothing before shipping. Do you have tons of designer clothes you’d like to sell online? Tradesy is one sure marketplace that helps you do just that. Seriously, there are plenty of online stores that you could resort to for clothing resale and Tradesy is just one of them. Of course, Tradesy is a go-to place for listing various items like clothing, shoes, accessories, and bags. On Tradesy, you’re sure to enjoy a simple listing procedure which requires you to list your item according to its quality and brand name. You’ll then have to attach relevant photos to get the item listed. One interesting thing about Tradesy is that it enhances the look of your listed item in a manner that appeals to the sight of potential buyers. Also on Tradesy, you can decide to get paid via your bank account, a PayPal debit card or through the site’s store credit. If you’re looking for a great site to sell clothes online, Bonanza is always at your fingertips. The site is pretty much like eBay in the sense that you’re allowed to place a fixed price on your listings although prospective buyers can choose to put up a counter price. Bonanza could be a pretty option for you if you would like to import your current product listings from other online stores such as Etsy, Shopify and eBay. One major advantage of using Bonanza is that you’re certain to attract wider exposure for your product listings. Interestingly, Google Shopping combines with listings on Bonanza to help boost their appearance in the search engine. Besides offering low and affordable commissions, Bonanza is damn easy to use and this gives it a significant edge among the leading e-commerce sites for entrepreneurs. There are plenty of sites to sell or resell clothes on but if you’re looking for the largest of all probably in order to get your items in front of the largest possible audience, eBay is always the perfect option. eBay lets you list items for free but only to some extent. For every month, you won’t be charged for the first 100 listings you make. Importantly, you’re allowed to sell your clothes at auction or place a fixed price on them. eBay’s commissions are pretty low and affordable. Only 10% of the selling price is what the site takes while you keep the remaining 90%. Quite frankly, this is one obvious reason why myriads of sellers always take priority in eBay. Seeking to get cash for clothes? Do you have a couple of sparkling women’s clothing and accessories you want to resell online? Well, SnobSwap is damn suitable for selling women’s clothing and accessories. Meanwhile, you’re open to three different ways to make cool cash doing just that on SnobSwap. First of all, you can trade clothing with other sellers on the site. Secondly, you can choose to consign your clothing to Snobswap and in the third place, you can sell your clothing by yourself. Whether you’re planning to sell high-class or low-end clothing, SnobSwap could be a great online platform to do just that. If your items appear to be some high-end or more prestigious clothes, it will be a good idea to hand them over to the SnobSwap boutique partner in your location. This way, those items will be ready for both in-store and online sale to likely buyers. Crossroads is suitable for both women’s and men’s clothing and this gives you the chance to make the most success if you deal in men’s and women’s clothing. With Crossroads, clothing resale comes in a pretty dimension as you can mail your items to the site’s processing center. If you don’t prefer to mail in your clothes (or other prestigious items you wish to sell), you can opt to consign them. This would be a great idea to consider if your residence is close to a brick-and-mortar Crossroads location. You can always mail off your clothes to Crossroads but in any attempt to do so, you’re advised to first take a look at their selling guide. Not only will doing this let you know the items in current demand, it will also save you the stress of mailing off clothes that might not convert to sales. If you’re looking for a site that pays you instant cash for clothes, Material World could be the pretty option for you. Without doubts, Material World offers you instant payment on any item you agree to sell. Also, Material World lets you mail in your elegant stuff (specifically designer clothes) so that the site selects the preferred ones and provides a quote on them. Interestingly, using Material World gives you the opportunity make a choice between three different payment options of (i) PayPal cash, (ii) in-store credit, and (iii) shopping credit at a designer’s site or store. Above all, one unique reason anyone would love to use Material World is the practice of returning unaccepted clothing to you without charging you a single penny. Needless to say, this is very rare among certain online consignment stores. When you sell clothes on Material World, you can opt for the PayPal payment option which charges only a 15% commission on each item sold i.e., the remaining 85% of the selling price belongs to you. If you opt to sell on Etsy, you’re likely to capture the audience that might be ready to buy your bespoke, pre-made and used clothing. On Etsy, it’s possible that you stumble on a very unique audience that might not be interested in purchasing designer labels or the newest fashionable brand. Etsy is an interesting marketplace to trade in both vintage and handmade clothing for adults and children. One sure way to optimize your shopping and expand your audience is to engage in networking with other Etsy shops. Not only will this boost your shop audience, it will also optimize your items for ranking well in search results. With Instagram, the idea of selling your clothes online or getting cash for clothes takes a different dimension. The major implication is that Instagram isn’t giving buyers the avenue to purchase your clothes directly. Instead, Instagram lets potential buyers view your photos, go through your profile and then exchange their contact details with you. Whether you’re selling used clothing or you’re keen to showcase an inventory of clothes newly designed by you, Instagram is always free to use and you’re damn sure to capture the attention of likely buyers from its mind-blowing audience. Setting up a Shopify store could be a great way to sell clothes online and get cash for them. This, of course, should work for you if you’re into buying used clothing for the purpose of retail arbitrage. Shopify has what it takes to create your online store and manage the payments. Moreover, it will help you organize the shipping of items if you work together with a clothing manufacturer and would like to drop-ship items from a storehouse. Needless to say, you’ll also benefit from having your own website. You’ll have the chance to increase public awareness for your brand plus your profit potentials will increase substantially. By partnering with others for drop-shipping, you likely tap benefits from a “hands-off’’ retail strategy. You might not be thinking about Facebook as the go-to marketplace for selling clothes online but considering the overwhelming popularity Facebook boasts, the social media platform does have the potential to connect you with numerous buyers. By using targeted Facebook Ads, you can imagine reaching hundreds and thousands of potential buyers. Basically, Facebook uses its social media influence to get users who would relate to your ad and eventually visit your online store to see what you’ve got to offer. Besides Facebook Ads, the local “Buy and Sell Groups’’ is another exciting selling option Facebook has to offer. Interestingly, Facebook allows you to make free online listings targeted at local buyers. Doing this is a proven way to have all the cash from your clothing sales and avoid having part of your profit gulped by third-party commissions. If you’re taking priority in using Facebook, try to provide detailed descriptions and quality photos for the clothing you wish to list for sale. Craigslist is a popular site to sell almost anything and you wouldn’t regret selling your clothes on it. Are you thinking about selling your nicely used non-designer clothes that many of the sites on this list might not accept? Verily, Craigslist is a trusted platform to get those non-designer clothes listed for sale. More interestingly, there is a clothing and accessory section for each of Craigslist’s local boards. With this in place, you’ve got the freedom to list any clothing of your choice. Mercari is a lovely site that can bring buyers to you from around your neighborhood. With Mercari, you could make cool cash from the sale of clothes to buyers across the country. Listing on Mercari is absolutely free and to get your apparel listed, all you need is to take a picture of the apparel. The next thing is to complete a description for the apparel and provide the price you wish to sell it. You’ll also have to include the location from which you’ll be shipping the item. If you’d like to catch the most fun using Mercari, you could download the mobile app that lets you do all the selling just in a few taps. So lovely! The mobile app will help you communicate better with a potential buyer. Once somebody agrees to buy your clothing, you can receive a prepaid shipping label from Mercari or simply ship the clothing to the customer all by yourself. On ASOS Marketplace, you’re allowed to open a boutique for the sale of both vintage and new women’s and men’s clothing. The site offers some great pleasure to sell your clothes online and get cash in return by using your own boutique. However, you won’t be able to open a boutique if you don’t fulfill specific requirements. Also, you’re required to have the minimum of 20 distinct styles always in order to be a vintage boutique. ASOS could be one of your best sites to sell clothes online if you’re looking for a site that charges a preferably low commission. For every sale ASOS makes for you, the site keeps only 20% of the profit while the remaining 80% belongs to you. The RealReal is an online consignment store for accessories, jewelry, shoes, men’s and women’s clothing. It’s an ideal place to get cash for selling your clothes. However, bear in mind that the commission it charges is a little bit high. You get 70% of the proceeds from each item sold while the site keeps 30%. One reason you might like to use RealReal is that you could have your item sold within three days of listing. That’s usually the case with the “hottest items’’ but generally, the site expects to find buyers for all items within 30 days. Also, RealReal lets you use the free in-home pickup or its prepaid envelope to get your items mailed in. If you’re dealing in a diverse collection of clothing and accessories, chances are that Swap.com is the consignment site to help you make the most success with selling online. Speaking frankly, the site receives various accessories including toys and video games. Also, it accepts infants’, children’s, maternity, women’s and men’s clothing. Swap.com offers a “SureSell’’ option through which you get paid quickly for first-rate items. For each month, you’ll receive three prepaid boxes into which you can fill the items you wish to sell. Then, it takes the site 30 to 60 days to process the items. After the processing, the Swap.com names the prices your items will be offered for sale and once they are sold, you’ll be sent the payment. Have you been looking for where to sell your nicely used handbags? Would you like to declutter your apartment of a couple of handbags? If “yes’’, Rebagg is the one-stop marketplace for you to do just that. It takes only three business days for Rebagg to pay you after receiving your bag. Rebagg accepts almost all brands of handbags and the site is solely designed to help you fetch some cool cash from the sale of used bags. Meanwhile, using Rebagg is pretty simple. You only need to snap some pictures of the handbag(s) you wish to sell for Rebagg to present an offer. Interestingly, Rebagg grants you free shipping once you accept its price offer. As a plus to that, those living in New York can choose free home pickup. Depop is just like many online stores that use mobile apps that let sellers ply their online selling activities with buyers just in a few taps. Depop’s mobile app is compatible with Android and iOS devices and if you download it, you’re pretty certain to magnify your experience with Depop. With Depop, you’ve got the opportunity to trade in both vintage and latest women’s and men’s clothing. Importantly, auctions aren’t available and prices are fixed. Once you succeed in selling an item, you pay for its shipping. Moreover, you’ll need to download the mobile app since every communication or interaction between you and buyer(s) will be done through the app. Storenvy seems to be an exciting blend of social media platform and online store. If you’ve been on the lookout for one of the best sites to sell clothes of various brands, Storenvy could be your destination. Quite frankly, the site boasts over 55,000 brands and it has been acclaimed for its sort of distinction. If you have gorgeous clothing and accessories suitable for various users like men, women, children and lots more, nothing should stop you from making substantial cash by selling them on Storenvy. The site uses two payment methods namely PayPal and Stripe. You’re always free to open your own storefront on Storenvy and for every item sale you make through this storefront, you keep the entire profit but for an item sale generated through the Storenvy marketplace, Storenvy keeps 10% while you take the remaining 90% of the selling price. Zazzle is just another site that lets you obtain cash for exploiting your designing skills. If you’re damn skilled at designing excellent t-shirts, chances are that you’d make the most success with Zazzle. The site is basically an online store for the sale of branded designed t-shirts as well as custom designs. Interestingly, Zazzle works in a pretty much similar way to CafePress as you only design t-shirts which the site ultimately manufactures and ships. For every sale the site makes through your design, you’ll receive payment via PayPal. Pinterest might not be a platform specifically designed to sell clothes online but it remains a proven opportunity to boost the exposure for your clothing since many of your potential buyers visit the website daily. One downside to the use of Pinterest is that visitors can’t purchase items directly from the platform. Nevertheless, using Pinterest will offer you lots of benefits since several e-commerce sites definitely integrate the social platform to add convenience to listing items. VarageSale is one of the sites that have modified the idea of yard sales by taking it to the online sphere. Seeking to get cash for clothes? Prettily, VarageSale helps you in that quest. The site allows you to sell your clothing online and simply focus on attracting potential buyers from within your location. Once you succeed in finding an interested buyer for some clothing, you simply arrange for a place to meet up with the buyer. Fam could be one of the most secure platforms for selling your clothes online and earning cash hassle-free. To get started, you must first download the Fam mobile app which is exclusively a members-only app. PayPal is required for all payments made within the app and there is maximum safety plus security for all purchases. Interestingly, the app offers plenty of groups relating to clothing and many other categories including outdoor gear, legos, electronics and lots more. All in all, the app is a pretty great tool to connect with your intended buying audience and foster lasting relationships with them through social interaction. To sell your item, all you need is to provide a couple of details in the required input fields. Refashioner is one of the online platforms you would like to use in selling designer clothing. The site showcases an imposing amount of unusual designers and amazing pieces of different kinds. Founder of the site claims the items on it are not “all fancy’’ and more importantly, both sellers and buyers are sure to benefit alike because the site does things to favour them in the same capacity. If you think you’ve got some extremely unique clothing hanging somewhere around your room, this could be the opportunity to get it sold. In addition, Refashioner hosts exciting events and if you’re part of the Big Apple, you’ve got to be on the alert to ensure you make the best out of its next bubbling event. Mosh Posh is a trusted site to get cash for clothing resale. The major purpose of the platform is to help you resell a variety of items including women’s handbags, accessories, jewelry, shoes and luxury clothing. If you have loads of designer clothing (such as Kate Spade, Gucci, Louis Vuitton and Hermes) you wish to resell, here is a site that offers you the avenue for doing so. The site boasts 24/7 service availability and its deems itself a “designer consignment boutique’’. You can contact Mosh Posh to sell or buy clothing by heading to its retail outlet in South Tampa, Florida. Grailed is one of the online stores that make it interesting to exchange clothing for cash. If you deal specifically in men’s clothing, chances are that you’ll make lots of fun with this platform. First of all, Grailed offers a simple mobile app that provides almost all the selling needs you require. To start using Grailed for online selling of clothes, simply download the mobile app and then create a user account. At the moment, the app is available only on iTunes. You’ll need a PayPal account for receiving payment directly. To get your clothing listed for sale, tap the in-app “Sell’’ button and provide detailed information and relevant photos of the clothing. Once interested buyers submit offers, you’ll be notified. So, you can simply accept many offers and opt to sell your clothing to the first potential buyer to pay for it. After receiving payment in your PayPal account, you can then ship the clothing to that buyer. For every item sold, Grailed takes only 6% commission leaving you to keep over 90% of the profit to yourself. However, there are still several PayPal charges applicable to every item sold. Wallapop is one of the free-to-use classified sites for selling clothing and other stuff to buyers within your neighborhood. To tap the great selling benefits this platform offers, you’ll have to download the mobile app. After that, create a user account and start listing your clothing with relevant photos. In the twinkling of an eye, your item listings will be made available to those in your location. More excitingly, you can have a direct private chat with your buyers, arrange to meet them in a safe area within your locality and get your clothing sold to them in exchange for cash. Vinted is one sure platform to start earning quick cash from the sale of clothes. In fact, the site itself claims to do this and interestingly, you won’t be charged to sell on Vinted. On Vinted, you can easily decide the price to sell your clothing plus you get to enjoy free listings. Just go ahead to make a listing with a suitable product description and some relevant pictures. Vinted pays you via your Vinted Wallet so you can easily import your earnings from there into your preferred bank account. When your clothing sells, Vinted offers you a prepaid shipping label and then you’re required to wrap up the clothing and send it to the buyer. Vinted pays you for the sale once the buyer receives the clothing. TrustOrRun is an online platform for consumers and entrepreneurs alike. Discover businesses, make purchase decisions, submit your guest posts, advertise your business, and above all else, have fun.